The Pickup 225 Speed Truck lift is made for trucks with crew cabs and features a longer arm for optimal side loading action. An anti-rotate strap system and compact base ensure that the lift unit will fit in your truck bed. 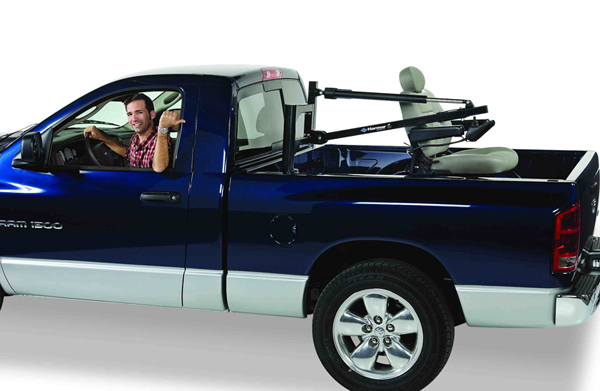 The Pickup 225 lift transports your mobility aid from your truck bed directly to either the passenger or driver side! Optional wireless remote also available.